This upcoming smartwatch is IP67-certified for resistance against the elements, runs Android Wear 2.0, and it even features customizable watch faces. It goes on sale next month for $300 USD. Verizon Wireless will bring an unexpected Android Wear 2.0 smartwatch to the market next month. 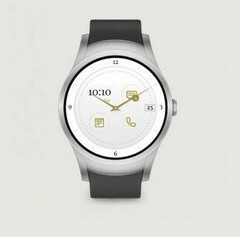 Dubbed Wear24, this round smartwatch will offer a rich set of features, including Android Pay support and LTE connectivity. Wear24's specs and features also include a 1.39-inch AMOLED display, NFC and LTE connectivity, as well as a 450 mAh battery. The case measures 1.65 inches in diameter, having a thickness of 0.52 inches. The Wear24 smartwatch comes with excellent protection from water, as it carries the IP67 rating. 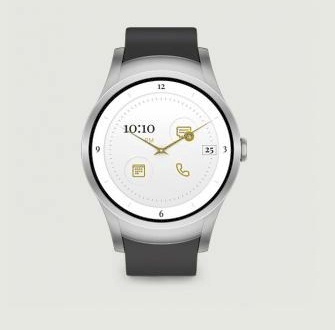 According to Verizon, customizable watch faces will be included, allowing the user to set them up to change the information displayed depending on his/her location. Verizon plans to offer the Wear24 smartwatch starting next month for $299.99 USD with a two-year activation. It will be available in retail stores, but those interesetd can get it online as well. Other payment options will also be possible, but we will talk more about them in March.